January. The month New Year’s Resolutions are made and broken within days of each other. Go to the gym more often, be more organised, meditate every day (yeah right?!) But each year more and more people are committing to something which does seem possible. For a few weeks at least. Veganuary. If you haven’t heard of Veganuary (have you been living under a rock?) it’s a commitment to go plant-based for the entire month of January. With record numbers signing up for this year’s Veganuary, 2019 is already being dubbed the year of the vegan. (source: https://www.theguardian.com/lifeandstyle/2018/dec/31/year-of-the-vegan-record-numbers-sign-up-for-veganuary. And plenty of celebs are in on the act too. Even Beyonce and Jay Z are in support of it. The good news for anyone trying Veganuary for the first time (or anyone who just wants to try a more plant-based approach) is that vegan food is no longer boiled lentils and tofu “cheesecake”. 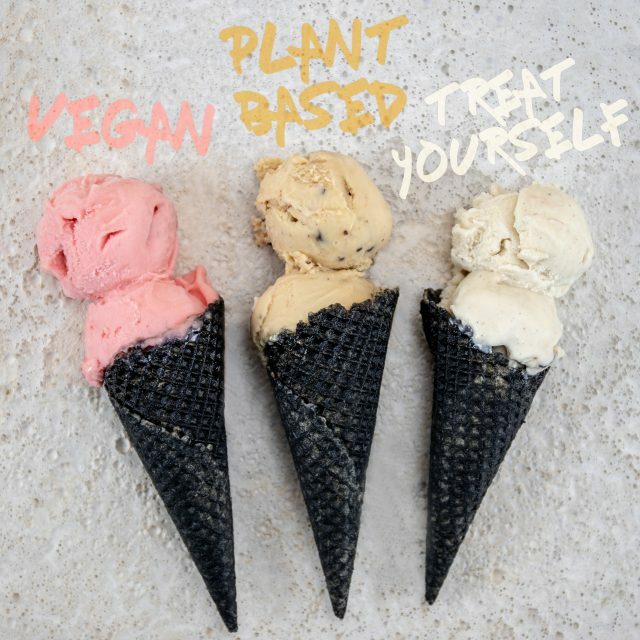 In fact, our vegan ice cream tastes so good, we bet you can’t even tell it’s plant based. And they’re not the only vegan offering that passes the mainstream test. There’s so much choice and so much to choose from – from a well-known brands new vegan sausage roll, to pretty much every supermarket bringing out or expanding their range of vegan meals. There are also so many vegan and plant-based recipe blogs out there – with inspiration for breakfast to dinner and everything in between. So with so much to choose from, and only 93 meals to fill (if you started on 1stJan) how do you make sure you’re getting the good stuff? That’s where we come in. Here’s our list of top 10 vegan products to order on Ocado during Veganuary & beyond! Do you agree? NB°C Vegan Peanut Chip ice cream. Awesome peanut buttery, chocolate chip ice cream that tastes so good you won’t even notice it’s plant-based. Oatly. Oat milk in all hot drinks. It’s no wonder the baristas use this as the only dairy alternative in their hot drinks. NB°C Vegan Chocolate & Orange Blossom ice cream. According to reviews it’s a “game changer”. Yes it’s that good. Marigold Yeast Flakes. Great for seasoning roasted veg. NB°C Vegan Hazelnut & Rose ice cream. Creamy, hazelnutty and just enough rose to make it amazing. Tofoo Co. Smoked tofu. – Smash these up with some breadcrumbs, a bit of soya milk, herbs and spices and bake in the oven for a tasty tofu loaf. These coconut and cashew bars from the Squirrel Sisters – the prefect on the go vegan snack. Full of good stuff and super tasty too. 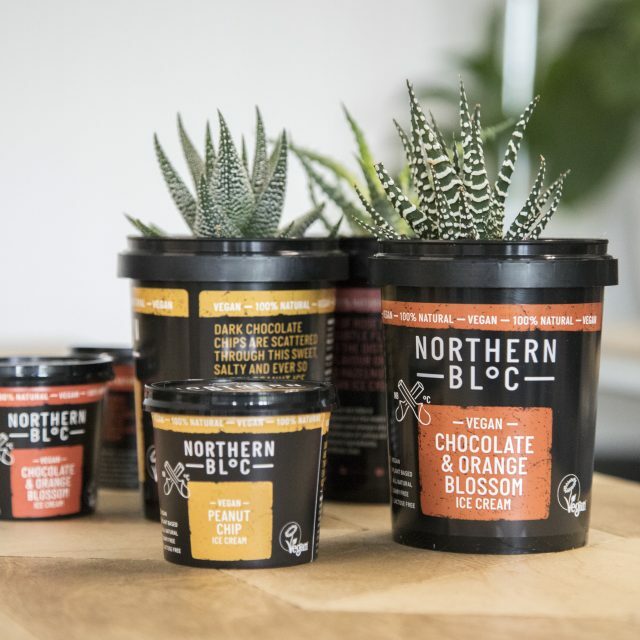 Did we mention our NB°C ice creams? They’re 100% vegan (certified by the Vegan Society no less) and 100% awesome. Get your hands on some chocolate and orange blossom, peanut chip, and hazelnut & rose and you won’t believe just how good it is. Drop some in your Ocado basket today and enjoy Veganuary the NB°C way. In the mood to treat yourself? Being vegan doesn’t mean you can’t eat out. Cafe’s and restaurants are starting to step up their plant based game. Here’s a list of our top 10 vegan friendly places to eat in our home town of Leeds, and our top 10 in London!